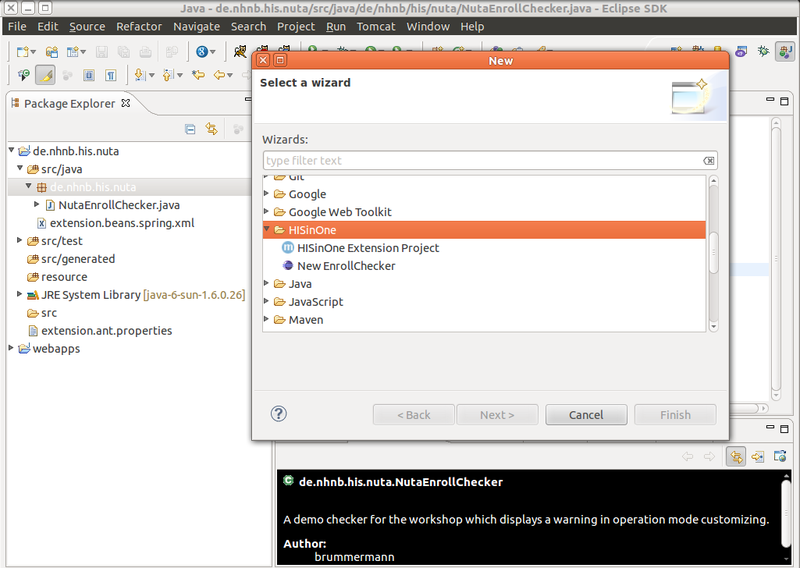 ecl1 is a set of tools, implemented as Eclipse plugin, that supports the creation of HISinOne extensions. It adds support for creating a new HISinOne Extension and special checkers for the enrollment of lectures. By adding the following code below to your website you will be able to add an install button for ecl1.